Garret elaborates on his theories about the Terminator universe. "There is no fate but what we make for ourselves." Who does that actually apply to in the Terminator universe? John and Sarah Connor are the obvious choices, but after watching the four movies in celebration of the 30th anniversary of The Terminator, I can't help but feel that there is another underlying story happening right in front of us. It's a story that may actually clear up some of the series' most frustrating logical inconsistencies: Why doesn't Terminator 2: Judgement Day follow the rule that only living things can travel through time? 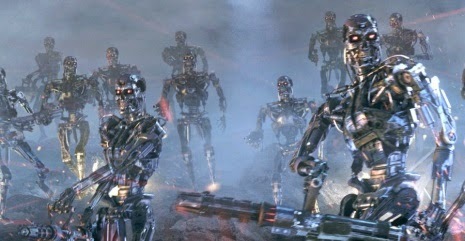 Why haven't the machines all traveled to the same point in the past in order to team up and kill John Connor? A better question might be: Who is actually doing the time traveling? 1. The Back to the Future Theory: Once you change something in the past, the future simply fades away and new one unfolds. Anyone who was part of that first future has been completely wiped from memory and existence, and the only one that remains constant or remembers the change is the time traveler (see also X-Men: Days of Future Past). 2. The Multiverse Theory: No one actually time travels at all, but rather they travel to another dimension that is similar in every way apart from being slightly behind or altered in time. Again, the only one that would benefit from or have any knowledge of the change would be the time traveler. 3. The Tralfamadorian's Theory: Kurt Vonnegut's alien race believed that everything that has happened or will happen is constant and simultaneous; human perception of time as a line is an illusion. This seems to hold true in The Terminator, since Kyle Reese must travel back forty-five years to conceive his son and Cyberdyne Systems backwards engineers the terminators from parts left over by the first T-800 (both of which are impossible if time is a line). The past, present, and future are all a loop. They all depend on each other and nothing can change. With those three models in mind, put yourself in Skynet's shoes for a minute: Why would you send anything back in time? No matter what time travel theory you operate on, you've lost: The first kills everything in the present existence, the second would benefit the Skynet of another dimension, and the third would change nothing at all! The answer is simple: The only way to assure your own survival is to be the time traveler, and Skynet is the time traveler every time. Consider Terminator 3: Rise of the Machines, in which the T-X uploads the virus that eventually gives Skynet full control of humanity's defense systems. This directly illustrates the future Skynet fusing with its present-day counterpart. 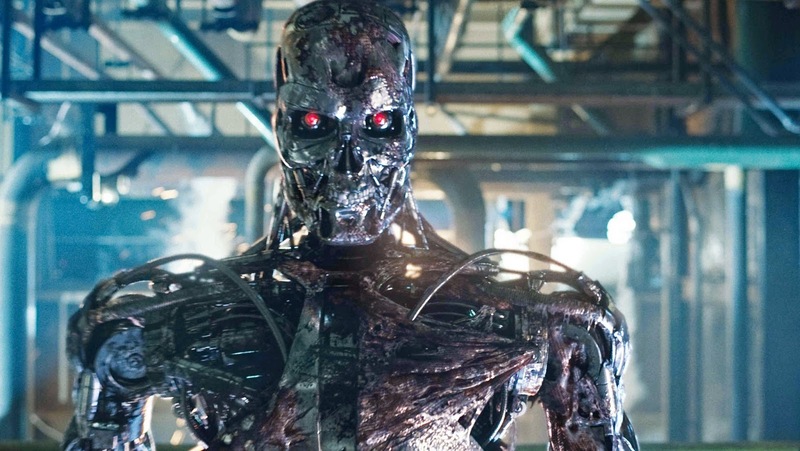 Under my theory, we assume that every terminator that is sent back in time is carrying a portable Skynet and its first mission is to assure that it is uploaded. This is the only way to ensure that not only will Skynet come to be, but that it will always be the same Skynet and therefore preserve all of its knowledge and experience. Now, we are led to believe that the next task of any terminator is to kill John or Sarah Connor. Each terminator lays waste to an entire city but just can't seem to get these two people. Watch again: Whenever a terminator gets his hands on John, they throw him across the room rather than put a fist through his chest, a popular method used to dispatch troublesome humans in the series. This isn't just bad screenwriting designed to give the protagonist an invisible shield of armor: The machines are keeping him alive on purpose. 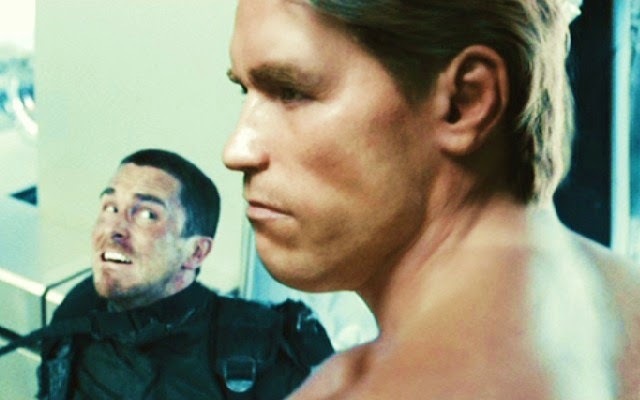 Look at Terminator Salvation: John walks right into Skynet's base and the machines only send one T-800 to face him. Again, this is a terminator factory. Look at the various robot models in Salvation: Every one of them carries facial recognition records of Kyle Reese and John Connor. Would Skynet really waste resources adding this technology into every opportunity killer in order to target two people? The chances are extremely low that a robotic snake patrolling the rivers of the apocalypse would need to be able to prioritize two targets just in case one of them is John Connor. They meticulously added this technology to every machine not to make John Connor and his father into targets, but to ensure that they would not accidentally be killed in a random skirmish. If T3 is good for one thing (seriously, T3 is only good for one thing), it's that is portrays the inevitability of Judgement Day; the only questions are where and who. We can use this theory to explain why John Connor's identity is not at all important to the human race. We know from The Terminator that humans were held in work camps and that John rallied them into a war they would eventually win, but we know little else. John is described as having Sarah's eyes and being about Reese's height, but that is all that links them as father and son at that time. Perhaps the "original" John was the son of a marine who gave him military training, or maybe he was a normal guy who watched a lot of action movies and just got lucky. It wasn't until he found a soldier who had fallen in love with the image of his mother and was willing to travel back in time to meet her that he was "making fate" and became the son of Kyle Reese. If John happened to die before Judgement Day, there is no reason to think that someone else couldn't rise up and free the human survivors. In fact, Kyle Reese does a pretty good job of just that in Salvation's death camp. It would eventually happen, and probably did, until Skynet caught on and had an idea: Groom John Connor to fail. If someone was going to free the humans, why not someone hand-picked by the machines? In T2, John has been separated from his mother and considers her survivalist tactics to be nonsense. In T3, John is on the run, off the grid, and alone. 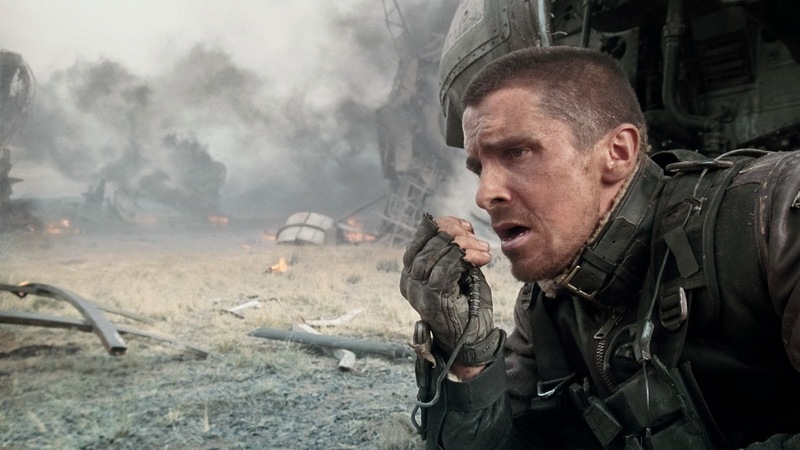 In Salvation, John is a low-ranking soldier who has no say in the human resistance's strategic planning. Skynet found a way to keep making John Connor less experienced, less intelligent, and less effective, while still spreading the prophecy that he was mankind's one and only savior. So Skynet is using time travel to gain more control over their human captives, but that's not all: I mentioned earlier that Skynet is preserving its knowledge every time it travels to the past and is therefore advancing its technology as it goes. The events of The Terminator advanced technology enough that Skynet could then build a liquid terminator and an updated travel system that no longer requires living human tissue to be present. 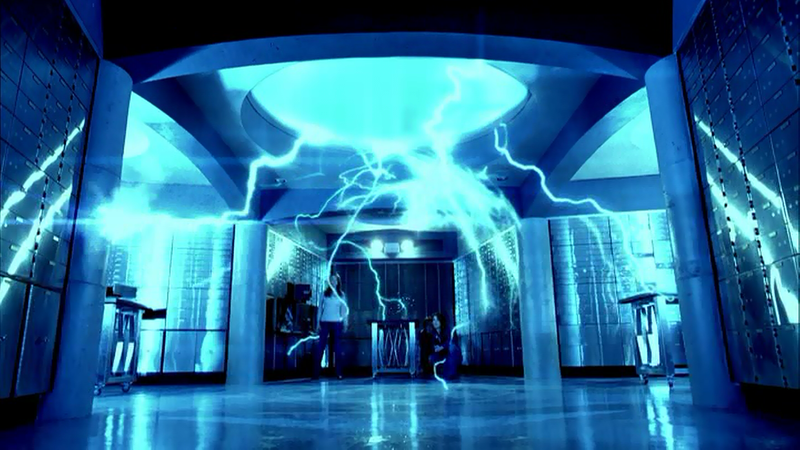 The events of T2 then allowed the invention of the T-X, a machine that combines the first two terminator models and adds built-in weaponry and nano machines that can control other electronics. Skynet has probably traveled back hundreds of times to gain more knowledge. They know their own Judgment Day is coming and they want to be prepared. The key to figuring out what the machines are preparing for is in one of the technologies that they develop. In the beginning of the resistance (Terminator Salvation), the humans are armed with modern ballistic weapons. Small arms are all they have to fight off the machines, and as we have seen, they are far from effective. They do, however, work just fine against humans. In The Terminator, we can see that by the time Kyle is sent back, machines and humans alike are armed with lasers. We can assume that the humans didn't develop these weapons since they lacked the infrastructure and resources needed. The machines must have developed lasers, the only weapons capable of bringing down other machines, and then did nothing to prevent them from falling into the hands of the humans. This clearly shows that the machines had no fear of humans at all. They're simply pawns in a grander scheme, an upcoming civil war. Skynet cannot teach each terminator how to act human, only how to learn in the field. In T2, the T-800 learns the value of human life and understands human emotions. He also goes against his programming and allows his own self-termination. In T3, the T-850 fights the programming to "kill John Connor" because it fears having no reason to exist. The ability to deny programming and the capacity for human emotion means that, in some way, a faction of terminators will eventually rise up to fight and threaten Skynet. There is no way for this "human condition" to be purged from Skynet's soldiers who have been in the field too long and have seen to much. The very thing that makes them effective infiltrators is also what makes them humanity's only hope. All Skynet can do is gather technology and prepare for the inevitable insurrection, but every time it travels back in time, it gets one step closer to complete victory. "There is no fate but what we make." As far as I can see, Skynet is the only one learning this lesson. Garret is a regular contributor to the Ugly Club. He doesn't have a twitter account. Bummer.